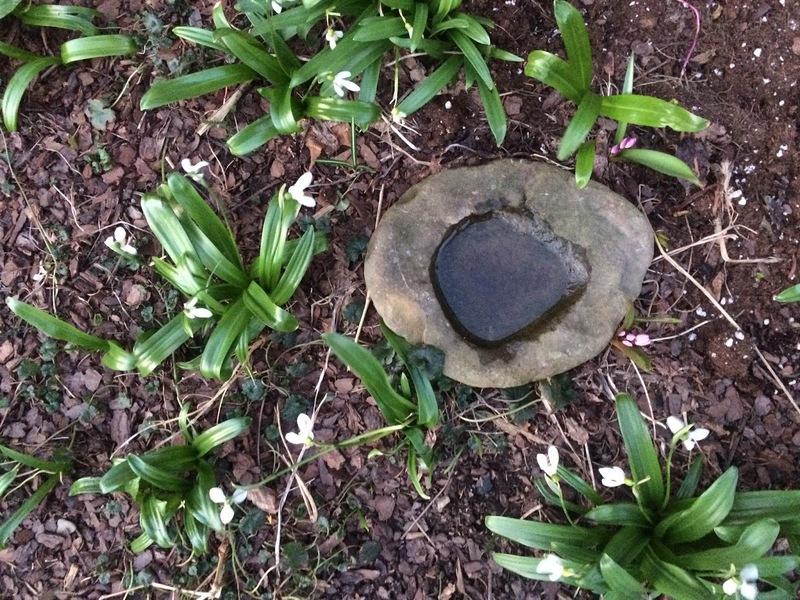 Students - We have had a spell of spring weather here in Western New York, and yesterday found me raking a few garden beds, including the one you see above, the front garden with so many snowdrops and an old stone bowl. In his poem Aimless Love, Billy Collins writes about falling in love with all kinds of inanimate objects, from a dead mouse to a bar of soap. And so it is. Yesterday I fell in love with this stone bowl. Isn't erosion amazing? I love looking at stones with small hollows and with rivulets of pattern on their backs, adore seeing wind-changed land forms and feeling the smoothness of beach glass. No matter what we do, wind and water keep on keeping on. I know that I can learn from this. You might want to try learning from nature too, as a writing exercise, and as a life exercise. Go outside. Fall in love with an inanimate object. And then write. Write about what you love and what lesson you might learn from this object. Let the silence of the object speak to you. (Yes, this is personification.) And let me know how it goes. This week was a very happy week for me and for my first book! 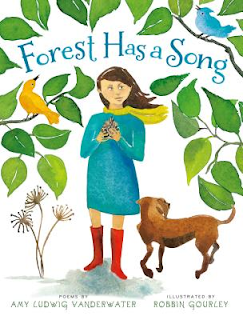 On Tuesday, the Society of Children's Book Writers and Illustrators announced that FOREST HAS A SONG won the first ever SCBWI Lee Bennett Hopkins Poetry Award. For those of you who know that Lee Bennett Hopkins has been one of my life and writing mentors, you will understand that FOREST winning this award is very meaningful to me. I am grateful. I am happy, too, to share this happiness with two wonderful poets and honor books. DEAR WANDERING WILDEBEEST by Irene Latham is a rich collection of poems about animals gathered at a waterhole on the African grasslands. 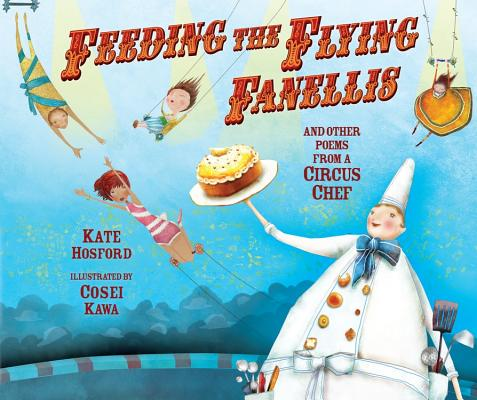 FEEDING THE FLYING FANELLIS by Kate Hosford is a joyful collection of poems from the perspective of a circus chef. 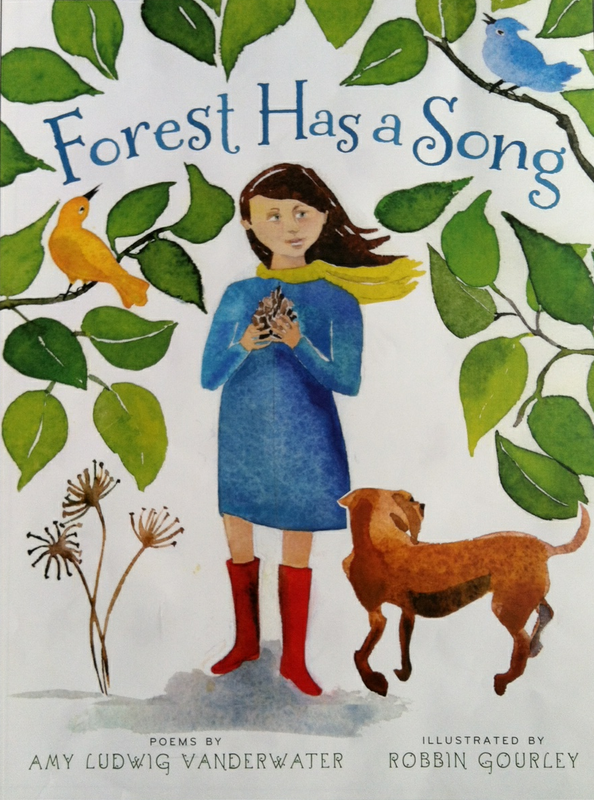 Margarita Engle won a great SCBWI award this week too! Her beautiful ENCHANTED AIR: TWO CULTURES, TWO WINGS: A MEMOIR won the Golden Kite Award for Nonfiction. 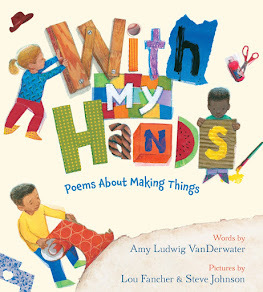 Much gratitude to SCBWI and to Lee himself for giving awards to poem books. I am thankful. 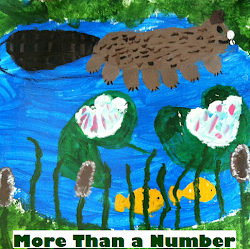 Over at my other blog, Sharing Our Notebooks, I am happy to host high school teacher Stacey Dallas Johnston from the Las Vegas Academy of the Arts with a post about her students' notebooks. Please stop by, check out the notebooks, and leave a comment to be entered into a drawing to win Anne Lamott's BIRD BY BIRD. 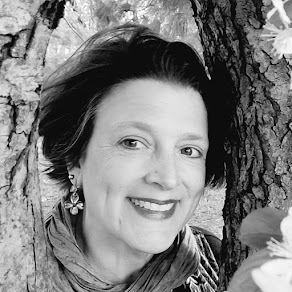 And if you missed my Monday post here, featuring Irene Latham's latest...FRESH DELICIOUS, you'll want to go back and write a persona poem with Irene. I will draw a name this evening for a book winner,donation thanks to WordSong! Robyn is hosting today's Poetry Friday Roundup over at Life on the Deckle Edge. Everyone is always invited to these Friday fiestas, and we hope you will join us! Amy, Congratulations! 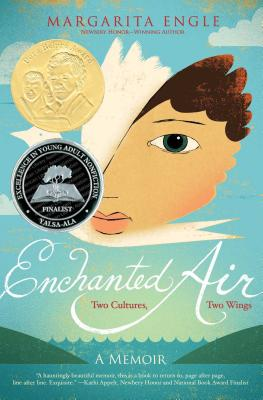 What a wonderful book and a wonderful award. Thank you for sharing the wisdom of the mountain. It can be so hard to be patient! I want to take a nature poetry walk with you. The wisdom in nature amazes and inspires me. Love this poem. Thanks for being you. And congrats on the SCBWI award. It's so awesome that others are noticing what I know for sure, your awesomeness. "A mountain told me so." Well, you can't argue with that! The stone bowl is most worthy of love and affection for its smoothness and its patience. 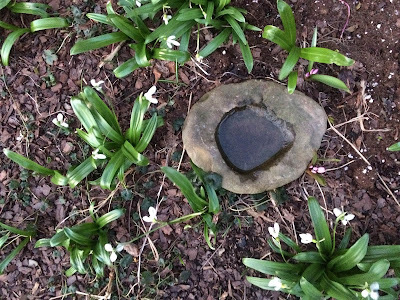 Your post, besides reminding me of my own today :), reminds me of the interview I did with Joyce Sidman– the big, rounded stone that she hefts back and forth when she's thinking, and also her deeper wisdom poetry form. Here's the link if you want to be reminded: http://michellehbarnes.blogspot.com/2015/01/spotlight-on-joyce-sidman-dmc-challenge.html It's so fun sharing small poems with you this month! 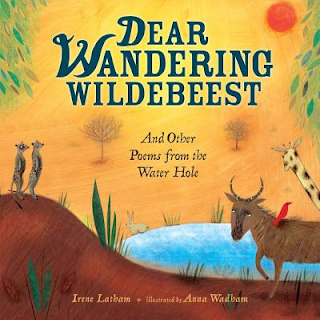 xo Oh, and of course, congrats again on the LBH/SCBWI Poetry award!!! I really don't know how you do it, but there are so many gifts in this stop. 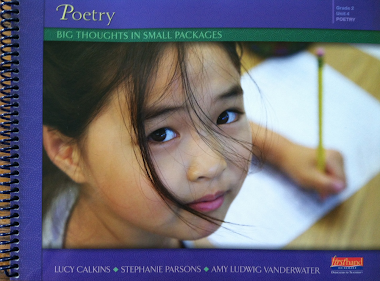 I loved your poem with its beautiful wonderings --- and, of course, listening to you read your work is always a treat. Then I smiled at this, " In his poem Aimless Love, Billy Collins writes about falling in love with all kinds of inanimate objects, from a dead mouse to a bar of soap. And so it is. Yesterday I fell in love with this stone bowl." Collins' work is among my favorite. I'm going to go back to revisit this poem as I think it may help me to find my way in April. CONGRATULATIONS on your well deserved recognition. This work is delightful. Finally, thank you for sharing other poetry books. There are a few here I haven't seen so I am going to be searching to get a copy. You pack so much into a post. Of course you would fall in love with an old stone bowl. Thank you for the lovely words and for sharing your inspirations all around. That IS a beautiful bowl! Congratulations on the award, Amy :-)! Congratulations, Amy! I love your poem and the wisdom of these lines: "one tiny goal/might/take a year." Such an important truth, especially for a writer! I always new Forest Has a Song was going to win something grand. What could be grander than this lovely new award from Lee? I love today's poem, but I have to tell you about my granddaughter and Every Day Birds. She is 7 weeks old and I have been reading her poetry books and reciting her poems since she was born. She LOVED Every Day Birds. She focused on the pictures and listened I got through the entire book and then read parts of it again. My husband filmed but I have not seen it yet. If it is any good I will try to share with you. She has loved Lullaby & Kisses Sweet since she was 1 week old, I kid you not. And now that she is 7 she is cooing in response to some of the poems. Poetry is for everyone!!! She is going to get to hear some of Forest tomorrow!!! Lots of hugs and congratulations on your award. There are more in your future, I just know it. I really love this one.....I love how you hear the message, "rain-drop clear" ....perfection. Janet F.
Congratulations on your poetry award--the first one awarded too! I posted this to Facebook. I hope others learn about you and your poetry. This poem teaches and entertains. Many congratulations are winging towards your forest!! Thank you for your wise advice to fall in love with nature. How much more likely we are to try to save something we love than something that's just an abstraction we see on TV (if we ever tune in to PBS)! Congrats, congrats to you!! You are so modest, you even buried the lead instead of crowing. I love your new poem, and the photo with three of the elements. Earth, water and sky (reflected in the water). And your words made it catch fire. Raking sounds like a great way to celebrate spring. Best wishes on many more books and awards. Congratulations, again, Amy - and I love your poem! There's a lot of heart and truth in that last line. Over the moon about all this good poetic news!